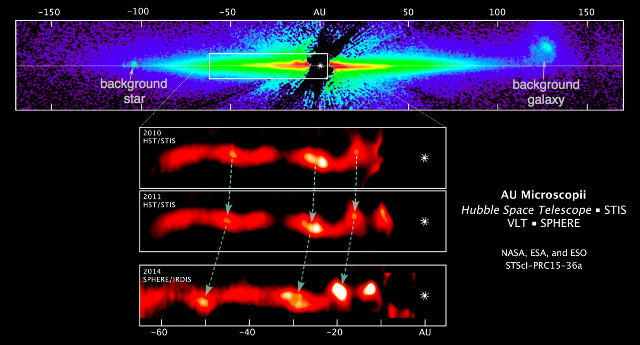 An article just published in the journal “Nature” describes the discovery of mysterious ripples across the disk of dust surrounding the star AU Microscopii, or AU Mic. Through SPHERE, an instrument mounted on ESO’s Very Large Telescope, a team led by Anthony Boccaletti, LESIA (Observatoire de Paris/CNRS/UPMC/Paris-Diderot), France, discovered these structures never seen before and yet to be explained. The Indian government has signed the agreement that allows the country into the SKA Organisation and will from now on be fully involved in the development of the SKA radio telescope. India joins Australia, Italy, Netherlands, New Zealand, South Africa and the United Kingdom in the task of the SKA into an intergovernmental organization with a treaty to formalize the relationship between the project and its members. 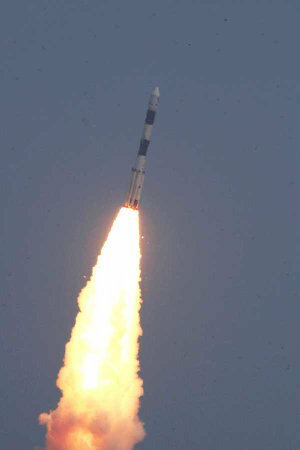 A few hours ago the Astrosat space observatory was launched on a PSLV-XL rocket from the Satish Dhawan Space Centre in the flight listed as PSLV-C30 by ISRO, the Indian space agency. After about 22 minutes Astrosat regularly separated from the rocket’s upper stage to enter an orbit close to the equator at an altitude of about 650 kilometers (about 400 miles). Along with it six satellites were launched for customers of different nations: the Indonesian Lapan-A2 microsatellite, the Canadian NLS-14 (EV9) microsatellite and four USA LEMUR nanosatellites. 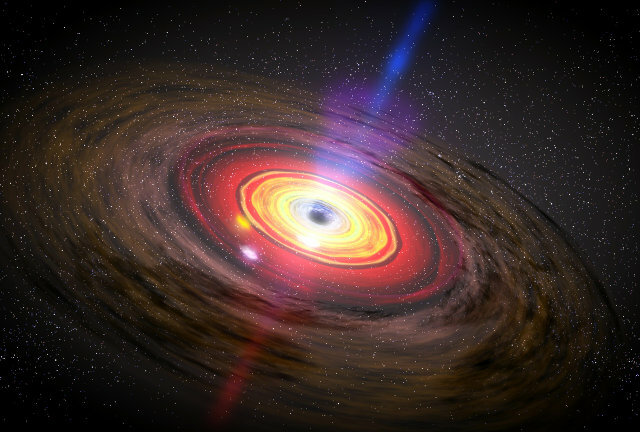 An article in the journal “Monthly Notices of the Royal Astronomical Society” describes a study of the galaxy SAGE0536AGN and in particular the supermassive black hole at its center, which is 30 times larger than expected. This is the result of measurements conducted by a team of astronomers at Keele University and the University of Central Lancashire, an anomaly all to explain. 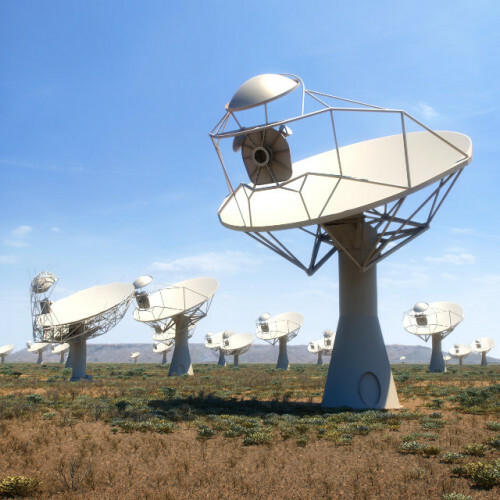 The Chinese government announced its intent to enter into a new phase of its involvement in the development project of the SKA radio telescope by signing a letter of intent with the SKA Organisation that runs it. Vice Minister Jianlin Cao from the Chinese Ministry of Science and Technology (MOST) signed the letter of intent on behalf of his government. With this act, China the joins nations that are turning the SKA into an intergovernmental organization with a treaty to formalize the relationship between the project and its members.